For all conditions (cervical syndrome, lumbago, sciatica, tendonitis, contusions, sprains, shoulder periarthritis, tennis-golf elbow and other musculoskeletal problems or injuries). Taping mcConell is used for all injuries or kinesiotaping for sport injuries to achieve rapid and targeted recovery and pain reduction. The physiotherapy sessions are executed by professional physiotherapists. A massage that relieves the body and mind from any tension based on the principles of physiology and anatomy. Physical pressure is determined by which areas of the body needed it and is applied to the soft body tissues. You can choose between: upper or lower body lasting 30 minutes, full body 60 minutes or top-to-toe (includes full body, head and face) 90 minutes. Deep tissue massage is a therapeutic type of massage specialising in muscle relief after prolonged and intense muscle contractions and long-lasting physical exercise. Applied mostly to the back, using a high-pressure technique which affects the inner muscle mass and lasts 30 minutes or 60 for a full body treatment. This particular treatment helps with: detoxification (eliminates toxins from tissues), flu symptoms, reducing swelling and inflammation, arthritic and rheumatic pains, respiratory disorders, musculoskeletal problems (muscle spasms, trigger point pains, tender points, etc. ), gastrointestinal problems, neck pains and back pains. 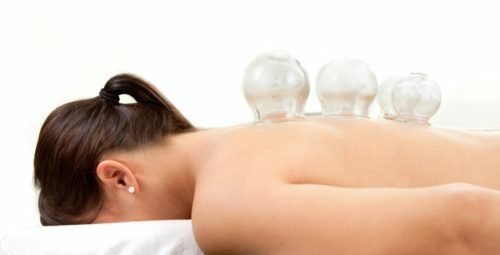 During the cupping massage sessions, Swedish massage techniques are executed and either moving or static cups are used. Cupping massage on upper and lower back lasts 30 minutes and full body 60 minutes. Using black volcano oriented stones of basalt, they can be applied to any part of intense muscular tension in order to achieve muscle relaxation and are also applied to the “power stations” of the human body (chakras) along the spine and back of the body. The temperature the stones send out improve the blood circulation, the metabolism to rise, detoxify lymph and refreshes the immune system. Reflexology is an alternative medical care based on pressure points through massage, mostly around the area of the feet. Every movement reflects to the particular part of our body we are in need of relaxing. It is a natural, non pharmaceutical treatment with no side effects, which improves possible conditions of the nervous system. It also eradicates stress, offers muscle relaxation, improves blood circulation and detoxifies and cleanses the body. Lymphatic massage is a special technique which helps lymphatic drainages and treats oedema. Aims to decongest the lymphatic vessels and improve blood circulation. 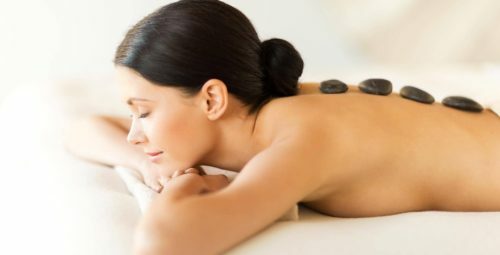 Sport massage techniques are applied to decrease the pressure and tension in the soft tissues of the body. It is a type of treatment that helps people who exercise frequently to get rid of stress and tension after their work out. Kneading all muscles and using a variety of techniques, the lactic acid (which accumulates in muscles) is eliminated from the body and gradually resolves the injuries in soft tissues. It is a combination of intense deep kneading and stretching techniques. Thai massage, Thai yoga massage or nuad Thai, was derived from the Far East. The philosophy and techniques applied, aim to achieve internal and external harmonisation and calorific balance. Thai massage does wonders for the human body and achieves musculoskeletal health, well-being, relaxation and emotional therapy.